We offer Luxury Bus on Rent in Delhi to Other city visit bundle for family occasions trip, Luxury Bus Hire Delhi To Agra visit bundle, 22 Seater Bus on rental Delhi to Agra visit bundle, 22 Seater Luxury from Delhi to Agra Tour Package, Bus Hire Delhi to Agra Tour Packages, A/C Bus on Rent in Delhi. Furthermore, looking mini bus Coach Rental Agency in Delhi, 22 Seater Luxury Vehicles is exceptionally reasonable for Family Picnic and companion bunch visit bundle and mini Bus Coach is the best alternative for solace and security travel. For a group of 20-22 people, 22 Seater coaches are one's best option.There have 2 separate seats for driver and cleaner. Equipped with facilities like air-conditioning, comfortable push-back seats, music system and ample luggage space, these coaches are sure to provide you a whole new automotive experience. Body makers are Force Motors and Bajaj Motors. The body of Force Motor's is mostly using in Travel Industry. We are providing you this van after changing its interior and exterior by engineer experts using only top quality and finest materials, components and technology. Our 22 Seater Luxury Bus is among the finest extravagance transport accessible in India, giving its customers security and solace. 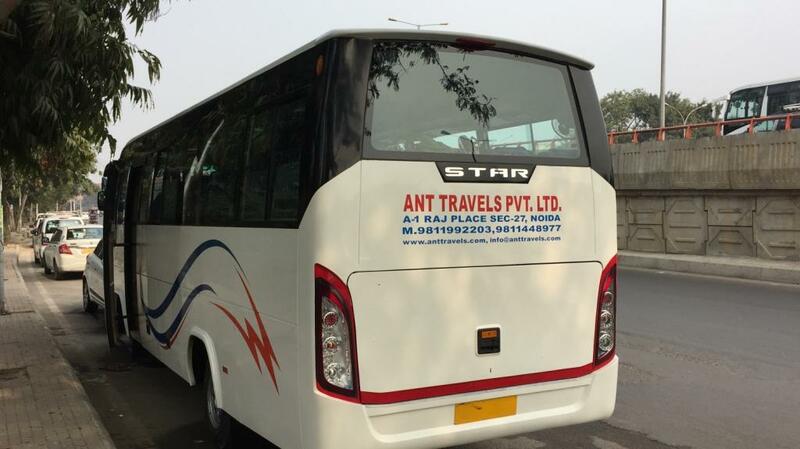 Our 22 seater Luxury Bus administrations stretches out from Delhi to every single real city of India, for example, Shimla, Kullu, Manali, Chandigarh, Amritsar, Jaipur, Agra, Haridwar, Dehradoon, Mussoorie, Rishikesh and so forth. Online Bus Booking presents offices for both individual, family, school and gathering explorers. Singular voyagers can procure situates in the mentor, and gathering explorers can employ full mentors according to their goal and span.